Kenneth Grahame’s book of life on the riverbank, The Wind In The Willows, has entertained and delighted children and adults alike for over 100 years, and it is still as timeless as ever. People as diverse as former USA President, Theodore Roosevelt, and playwright and author, Alan Bennett, have been enchanted by the tales of Ratty, Mole, Badger and the pompous Mr Toad. Esteemed rock royalty, Pink Floyd, even named an album, Piper At The Gates of Dawn, after one of the chapters. To the extensive and ever-growing list of those who have been bewitched by the stories add the name of singer songwriter, Barry Jones and there you have the main reason for this collection of songs. for a piece of musical theatre, and partly a concept album, the songs are introduced to the listener by Barry’s reading of a brief excerpt of the text which inspired the song, both setting the scene for the song and giving the listener a taste of the delightful language and style of the original writing. Valparaiso Bound is half a sea shanty and half a tribute to the English countryside inspired by the chapter Wayfarers All where Ratty encounters a seafaring Rat who delights him with tales of his far off lands, unsettling Ratty and stirring his own yearning for travel. Everyman is Badger’s attempt to put Toad back on the straight and narrow. To Be A Father takes the Otter’s perspective of the difficulties of fatherhood at a time when his son goes missing. Fool or Clown is Toad’s reflection on his own character. The folky, acoustic setting of the songs, which complements the rural setting of the tales, have been recorded by Barry (Vocals, Guitar, Harmonica, Banjo, Mandolin) along with Ronnie Clark (Electric Bass, Banjo, Mandolin, Slide Guitar, Lap Steel Guitar, Percussion) collectively known as The Southbound Attic Band, assisted by Geoff Hall who plays piano and sings on Valparaiso Bound and plays piano on To Be A Father. 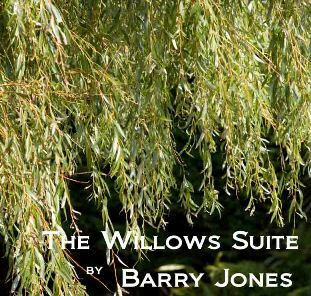 The Willows Suite is also an hour long theatre piece performed by the Southbound Attic Band. Here’s an excerpt from Folk On The Farm 2017 Many thanks to Peter Simmonds for the video!